The immediate past Minister of Finance, Dr Ngozi Okonjo-Iweala might be called upon sooner rather than later to answer for missing billions of dollars from the federation account. Governor Adams Oshiomhole of Edo state has hinted that Okonjo-Iweala claimed that she left $4.1 billion in the federation account but that the Accountant General of the Federation reports otherwise. Oshiomhole who spoke to journalists after the National Executive Council was inaugurated by President Muhammadu Buhari insinuated that the former World Bank, Managing Director, might have a case to answer. 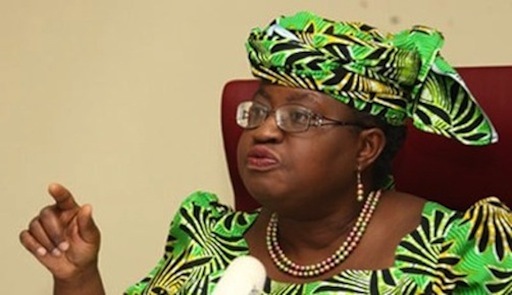 The governor said Okonjo-Iweala, reported by November 2014 “that we had $4.1 billion in but today the Accountant General office reported that you have $2.0 billion in the account”. Oshiomhole is part of a four-man committee that includes the Chairman of the Governors Forum and Zamfara Governor, Alhaji Abdulaziz Yari, Malam Nasir El-Rufai of Kaduna and Emmanuel Udom of Akwa Ibom. The four-man committee is expected to examine the accruals into and withdrawals from the Federation Account and the Excess Crude Account from 2012 to May 2015.